Just a year ago, David Valadao was another dairy farmer in Kings County. Now the first-term state Republican assemblyman from Hanford says he’ll run for Congress in 2012. Redistricting maps that came out earlier this year move Rep. Jim Costa, D-Fresno, into a new district that stretches north from Fresno through Madera County to include all of Merced County. Valadao will be running in the old Costa district from Fresno to Bakersfield, which will now be district number 21 instead of 20. His possible opponents are anybody’s guess. There has been speculation that local state Sen. Michael Rubio, D-Bakersfield, might run. Rubio could not be reached for comment Monday. Valadao, who has already created a federal campaign committee, said that now is the time to go to Washington because of the Republican majority there. By contrast, Valadao faces an overwhelming Democratic majority in Sacramento. “Being in the majority makes it a little easier,” he said. Water isn’t the only local issue Valadao said could be better addressed in Congress. He noted that the California High-Speed Rail Authority is planning to start construction next year in the Central Valley because of a federal mandate attached to federal funds the project has received. 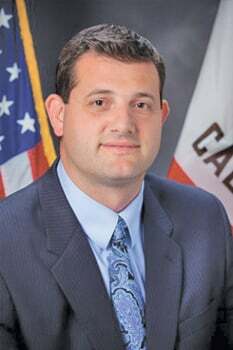 Valadao remains an opponent of the authority’s plans to run their first segment of track through Kings County. “That money again comes from D.C,” he said. “The reason we’re in such a hurry today is that little bit of money coming from the federal government. “I’m throwing my hat in the race. I think I’m a good candidate. If I lose, I’ll go back to milking cows,” he said. This guy is Dynamite!! He will be a GREAT Congressman. What about Vidak- is he going to run as well? Would make for an interesting primary. Vidak shounldn't think of running against David he should do the right thing and support David now.